The Ascamm Technological Centre is since 1997 an independent body with the legal standing of a private foundation. Its mission is to generate value in its environment through applied R+D, innovation and intensive knowledge services orientated towards improvements in competitiveness and business efficiency in widely differing sectors, such as transport, health, construction, industrial equipment and energy, electrical appliances and consumer electronics. Citynomadi is an innovative mobile technology company from Finland that was founded in 2009. Citynomadi’s concept is based on a range of services that lets travellers explore destinations with their own mobile devices when and where they want. In the near future Citynomadi will be providing a social network community. The KnowledgeFox Inc.was founded to market technologies and solutions which strengthen the knowledge build-up. They offer a comprehensive portfolio of services that includes KnowledgePulse, KnowledgePortal and KnowledgeApps. Brunel University has an excellent reputation in the fields of engineering, social sciences, technology and science. Since 2000, has coordinated a number of projects under the European Framework Programme. The Department of Information Systems (DISC) and Computing (DISC) is the largest department of its type in the UK, and arguably in Europe. ELIG has been created in 2002 as an open membership group with members representing the ecosystem for 21st century learning solutions. In its quest to represent the learning ecosystem, ELIG members are part of the core members group such infrastructure companies, portal providers, content providers, content producers, eLearning programme & services providers, professional training institutions and telecoms and media companies. AtoS is an International Information Technology Services company with 74.000 employees in 42 countries. Serving a global client base, it delivers hi-tech transactional services, consulting and technology services, systems integration and managed services. Atos focuses on business technology that powers progress and helps organizations to create their firm of the future. Karlsruhe University of Applied Sciences offers a professional academic education. The University enrolls more than 6,000 students and has a total staff of more than 650 persons. Most research projects at Karlsruhe University of Applied Sciences are managed by the Institute for Applied Research (IAF). Founded in 1987, its task is to promote applied scientific research and development projects. The Steinbeis Innovation gGmbH belongs to the Steinbeis Foundation for Economic Promotion which was founded by the government of Baden-Wuerttemberg in 1971. The Technology Transfer Centres are mostly attached to research organisations in order to guarantee close connection between R&D and industry. University of Reading (UoR), IMSS Laboratories operates as a multi-disciplinary research centre with a staff of 25 Masters, Post-Doc and Professorial level research scientists, software engineers and project management staff at the Department of Computer Science, School of Systems Engineering. The University of Vienna is one of the largest universities of Central Europe. Traditionally it has strong international relations in research and teaching and continually expands them. 63.000 students are currently enrolled at the University. The university’s research efforts rely on approximately 6100 scientists. The Holon Institute of Technology (HIT) is an institution of higher education (4000 students) that specializes in the scientific, professional, social and cultural aspects of advanced technology. The Department of Instructional Systems Technologies (IST) is deeply involved in the promotion of technology enhanced learning trough a wide spectrum of research and development activities and training programs. The Fraunhofer Society for the Advancement of Applied Research is Europe’s leading research organization for applied research. The Fraunhofer Institute of Optronics, System Technology and Image Exploitation (IOSB), with almost 300 researchers, conducts research and development for innovative concepts and application solutions in information technology. TIE is an international B2B software company, focused on Business Interoperability. TIE is a SME and also a publicly held company with offices in the United States, France, and the Netherlands (HQ). TIE enables companies to do business electronically and to lower costs by synchronizing their product information and business processes with their partners in the Supply Chain. The Lattanzio Group draws on its multi-faceted structure to support public administration sand companies in growth. Each according to its specific needs. They provide consulting for management, training, operational and managerial outsourcing, assistance with internationalization and communication. The Lattanzio Group is continuously engaged in researching and developing know-how on leading-edge issues in PA innovation and SME support, models, the diffusion of best practices, operational solutions and applied management processes. CEDETEL Foundation is a research and development center in the field of Information and Communications Technologies established in Valladolid (Spain). It is a non-profit organization making Applied Research and Technological Innovation. The center is structured in four departments which are: Technology Development, Technology Transfer, Digital Knowledge Society and Administration and Finances. 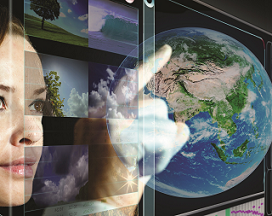 IMC information multimedia communication AG is one of the largest European vendor for learning technologies. IMC is well known for its learning management system CLIX, the rapid learning solution LECTURNITY, the authoring solution POWERTRAINER, as well as a deep expertise about the implementation of learning in higher education institutions as well as enterprises. For 25 years, FZI has supported businesses and public institutions in implementing the latest methods and findings gained through scientific research in the fields of information technology, engineering and economics for economic success. As an independent non-profit research institution, FZI works for companies and public institutions. The University Politehnica of Bucharest is a public funded higher education institution founded in 1818, being the oldest and the largest technical university in Romania. UPB’s foremost mission is engineering training at all levels (B.SC, M.SC, Ph.D.). At the same time, UPB is not only a transmitter but also a creator of science and technology. The Fundación General Universidad de Granada Empresa is a Non Profit Private Entity that aims to promote the development of collaboration channels between The University of Granada and its socioeconomic environment. From its establishment in 1989, the Fundación General UGR-E develops its activity in three main fields of action: Training, Innovation and Employment. The University of Porto is currently the largest education and research institution in Portugal. With 14 faculties and a business school, the University of Porto provides an exceptional variety of courses, covering the whole range of study areas and all levels of higher education. The University has some of the most productive and internationally renowned R&D centers. The University of Edinburgh is the oldest civic and secular university in the British Isles. It is also Scotland’s largest, with some 30,000 students. It has considerable experience of inter-institutional and collaborative trans-national working across its extensive range of disciplines. They carry out research and provide teaching at postgraduate taught and postgraduate research levels in the subject areas of higher education and lifelong learning. INTRASOFT International, with headquarter in Luxembourg, is a leading European company in the area of Information and Communication Technology Services, offering innovative and added-value solutions of the highest quality to a wide range of international and national public and private organizations. The scientific profile of the University of Bayreuth (UBT) is characterized by interdisciplinarity, individuality, innovation and internationality. Teaching and research at the intersection of disciplines, as well as traditional and modern degree programmes in the humanities and social sciences, in law and economics, in the natural and engineering sciences lead to generally recognized degrees including the doctoral degree. Ellinogermaniki Agogi (EA) is a Greek educational organization of private law, officially recognized by the state. Since 1998, the organization has established a devoted department, the Research and Development (R&D) Department for the design, development and implementation of research activities in education. Founded in 1810, Humboldt-Universität zu Berlin was the “mother of all modern universities”. Since its foundation, Humboldt- Universität has been a “universitas litterarum” embracing all major scientific disciplines in the humanities and arts, social and cultural sciences, mathematics and natural sciences, medicine and agricultural sciences. The University of Duisburg‐Essen (UDE) is one of the largest German universities (around 40,000 students and 4,400 academic and non‐academic staff) with excellent research reputation. The Department “Information Systems for Productions and Operations Management” (WIP) is the leading German research cluster in the fields of quality development, evaluation, and standardisation for IT‐enhanced learning and digital content with a special focus on eLearning content and repositories. The Institute of Educational Policy (IEP) is part of the Greek Ministry of Education and the official advisor on primary and secondary education matters of the Minister of Education. It composes the National Curricula, it authors the majority of the textbooks of primary and secondary education, certifies any educational material, makes pedagogical research and actively participates in the training of the primary and secondary school teachers. Dep. IT Systems for Educational Purposes of BM:UKK, with headquarter in Austria, is collaborating, organising, supporting and managing: soft‐ and hardware planning, support for classes and thematic educational issues, new technologies and applications for the use in education, ergonomics, evaluation and documentation of professional literature. Croatian Academic and Research Network – CARNet is a government agency founded in 1995 and operating as an independent part of the Croatian Ministry of Science, Education and Sports. CARNet activities can be divided into three primary areas: providing ICT infrastructure and connectivity to the Croatian academic, scientific and other educational institutions, fostering the development of information society and supporting the development of a modern education system. ATiT is an audio-visual and information technologies company with offices in Belgium, specializes in the educational, cultural and training sectors and provides audio-visual production, training and consultancy services to clients all over the world. The Department of Teacher Education of the University of Helsinki is a multidisciplinary institution of education and intellectual regeneration, and a builder and forerunner of the future. Growing up to shoulder responsibility on the global scale provides the wider framework for the Department’s activities. HEUREKA, the Finnish Science Centre, opened to the public in April 1989. Heureka is known for its highly interactive science exhibitions. The contents development of these exhibitions is always done in close co-operation with the best available scientific expertise. In this way, the scientific content of the exhibitions is reliable and based on the newest knowledge in the area. The European Physical Society is a not for profit association whose purpose is to promote physics and physicists in Europe, with headquarter in France. Created in 1968, the EPS provides an international forum to discuss science and policy issues of interest to its members. It represents over 80,000 members and physicists through its 38 national member societies. Cardiff University is a Russell Group Institution located in Cardiff, the Capital City of Wales in the United Kingdom. The University was founded in 1883 and has a mission to reach the highest international standards in research, learning, teaching and community engagement. The Istituto Tecnologie Didattiche (ITD) is one of the research institutes of the Italian National Council of Research. It was created in 1970 and is the only one fully dedicated to research in Technology Enhanced Learning. The Institute is strongly interdisciplinary with expertise which includes informatics, mathematics, physics, linguistics, psychology, pedagogy. Velti, with headquarter in Greece, is a leading global provider of mobile marketing and advertising technology and solutions that enable brands, advertising agencies, mobile operators, and media to implement highly targeted, interactive and measurable campaigns by communicating with and engaging consumers via their mobile devices. The Università degli Studi Guglielmo Marconi was established in 2004 as the first Italian open-university with the aim to spread and produce knowledge, giving everybody access to proper learning tools in Italy as well as worldwide. The USGM adopts innovating learning modalities by developing suitable research strategies for most advanced technological solutions and by integrating communication means (e-learning, chat, forum, videoconference, etc.). Coventry University’s Serious Games Institute (SGI) provides leading edge applied research supporting of a wide range of serious gaming and virtual world technologies, spanning the three key areas of health, education, and environment. Research is focusing upon comparisons between traditional and game-based learning approaches, integration of artificial life technologies, modelling and visualization work, new uses for games technologies, and testing new multimodal interfaces. NUCLIO is a Portuguese non-profitable association of professional astrophysicists and amateur astronomers devoted to public outreach and education. The research topics of the professional astronomers encompass a variety of areas such as planetary science, galaxies and cosmology. NUCLIO has great experience in promoting outreach activities for schools and local communities. LEARN TPM/LEARNit3D Ltd, with headquarter in United Kingdom, aims to harness the very latest and most engaging immersive technologies to deliver high quality learning and outreach. The company’s work includes the application of cutting edge 3D interactive technologies and Virtual Reality to deliver highly engaging, interactive and interpretive educational solutions in a wide range of contexts. Dublin City University (DCU) is a young university that includes CASTeL, a centre for research in science and mathematics education, as well as science outreach across all age groups. Its research objective is to identify optimal settings and practices which foster, firstly, a positive attitude to mathematics and science learning, and secondly, a habit of ongoing inquiry and lifelong learning. The Institute of Accelerating Systems and Applications (IASA) was founded in 1994 in order to promote research and postgraduate studies in the Greek University system. It is affiliated with six university departments: Medicine, Physics and Informatics of the University of Athens and Electrical & Computer Engineering, Chemical Engineering and General Science of the National Technical University of Athens. The University of Twente is a middle-sized University of Technology in the Netherlands with approximately 6,000 students and 2,500 staff members. ELAN is the department for Teacher Training, Science Education and Science Communication of the University of Twente. Fondazione Idis-Città della Scienza is a non-profit organisation which has operated in Naples since 1989. It plays a leading role in the dissemination of scientific knowledge, technological innovation and research on education and it is very active in European Projects and International Cooperation with particular attention to the Mediterranean area by promoting concrete actions. Founded in Ireland in 1981, Vernier Software & Technology has been a leading innovator of scientific data-collection technology for over 30 years. Focused on science, technology, engineering and mathematics (STEM). SETApps (Science and Educational Technologies Applications) company is a major provider and reseller of products and services in the field of science education technology and ICT solutions for education, with headquarter in Greece. The University of Leicester is a research-led university based in Leicester, England. It is one of the 1994-Group research universities. The University has particularly eminent scientific research groups in the areas of astrophysics, biochemistry and genetics. The University is well-known for the invention of Genetic Fingerprinting and for the discovery of the remains of King Richard III. 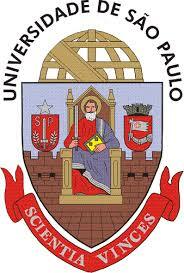 The University of São Paulo is the largest Brazilian university, the country’s most prestigious educational institution and one of the most prestigious universities in the world. According to reports by the Ministry of Science and Technology, more than 25% of scientific papers published by Brazilian researchers in high quality conferences and journals are produced at the University of São Paulo. The Metropolitan Autonomous University (UAM) is a public institution of Higher Education in Mexico, founded in 1974. It is one of the leading universities in Mexico providing the greatest number of investigation after the National Autonomous University of Mexico and the National Polytechnic Institute. Moscow State University of Economics, Statistics, and Informatics (MESI) is a university with more than 75-year history. MESI is a leader in ratings among the economic institutions of Moscow and Russia. This is one of the best state universities in Russia for quality education. The Open Education Resource (OER) Foundation is an independent, not-for-profit organisation that provides leadership, international networking and support for educators and educational institutions to achieve their objectives through Open Education. Athabasca University is a Canadian university established in 1970. It is an accredited research institution that also offers distance education courses and programs. Though it was originally conceived as a traditional campus-based institution, AU changed its perspectivein 1972 through a pilot project testing the concept of an open, distance university. Today, AU is one of the world’s foremost and fastest growing online and distance education institutions, serving over 40,000 students worldwide. 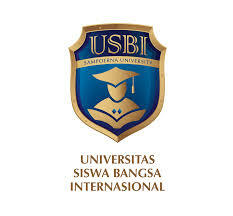 Universitas Siswa Bangsa Internasional (also known by the acronym USBI) is the first Indonesian university to offer an accredited U.S. degree entirely within Indonesia. USBI currently offers 15 undergraduate degree programs and 24 unique conferrable degrees. Vytautas Magnus University (VMU) is a public university in Kaunas, Lithuania. The university was founded in 1922 during the interwar period as an alternate national university. It is one of the leading universities of Lithuania, has now about 8,700 students, including Master and Ph.D. candidates. The Baden-Württemberg Cooperative State University is an institution of higher education with several campuses throughout the state of Baden-Württemberg, Germany. It offers dual-education (or also cooperative education) bachelor’s-degree programs in cooperation with industry and non-profit institutions in the areas of business administration, engineering, and social services. 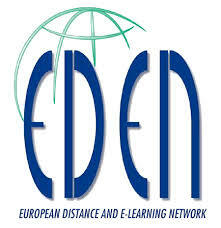 EDEN (European Distance and E-Learning Network) aims at sharing knowledge and improving understanding amongst professionals in distance and e-learning, as well as promoting policy and practice across Europe and beyond. The Katholieke Universiteit Leuven, also known as KU Leuven or University of Leuven is a Dutch-speaking university in Leuven, Belgium. It was established in 1425. It is considered the oldest Catholic university still in existence. With 41,255 students in 2012–2013, the KU Leuven is the largest university in Belgium and the Low Countries.